(MENAFN - Gulf Times) India is likely to see average monsoon rains this year, the state-run weather office said yesterday, which should support agricultural production and economic growth in Asia's third-biggest economy, where half of the farmland lacks irrigation. 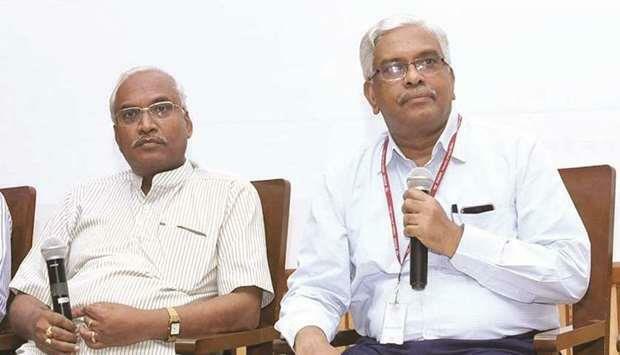 Monsoon rainfall is expected to be 96% of the long-term average, M Rajeevan, secretary at the Ministry of Earth Sciences, told a news conference. The India Meteorological Department (IMD) defines average, or normal, rainfall as between 96% and 104% of a 50-year average of 89cm for the entire four-month season beginning June. 'Overall, the country is expected to have well distributed rainfall scenario during the 2019 monsoon season, which will be beneficial to farmers in the country during the ensuing Kharif (summer-planting) season, the IMD said in its forecast. Skymet, the country's only private weather forecasting agency, earlier this month forecast rainfall could be below normal this year. Monsoon rains, the lifeblood for India's farm-dependent $2.6tn economy, arrive on the southern tip of Kerala around June 1 and retreat from the desert state of Rajasthan by September. After a wet spell, sowing of summer crops gets off to a strong start, boosting crop yields and output which in turn raises rural incomes and usually lifts consumer spending in India. If plentiful monsoon rains lift agricultural production this year, that could keep food prices under control. Subdued overall inflation could also add to pressure on India's central bank to cut interest rates. 'IMD's prelim forecast, showing near-normal and well distributed rainfall, will bode well for near-term food inflation, said Madhavi Arora, lead economist at Edelweiss Securities, FX and Rates. The next policy review by the Reserve Bank of India is scheduled for June 6, after the country's election. Millions of Indians are casting their votes in a mammoth general election, spread over seven weeks. On the downside, higher production could mean farmers continue to get hit by low crop prices, a major cause for concern in rural India, where most people live, in the past two years. After falling for five straight months, retail food prices in India rose 0.30% in March from a year earlier. Last month, a senior IMD official said that this year's monsoon was likely to be robust and healthy provided there wasn't a surprise El Nino phenomenon. 'El Nino is weakening and we expect that El Nino will get weakened further. There is no reason to be worried about El Nino, Rajeevan said.